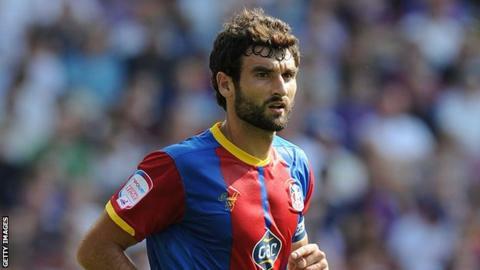 Crystal Palace captain Mile Jedinak is delighted with the character the side have shown in their past two games. The Eagles secured away wins over Bolton and Wolves to extend their unbeaten run to six matches. He told BBC London 94.9: "Playing big teams in this division with the quality of players they had on show, we knew we would be up against it. "We showed great resilience, fighting spirit for one another and I couldn't be more proud." The Australia international midfielder added: "We come away from these two games with confidence but it's a fraction of the season so far." Five wins in their last six games have lifted Palace into the top six in the Championship table, and Jedinak says he is relishing the captaincy. "You try and take responsibilities on and as an older head I like to do that for the younger guys," the 28-year-old continued. "It's part and parcel of what I'm about. "We've got other guys that are just the same, giving instructions, and it's comforting knowing we've got a lot of leaders out there." Meanwhile Jedinak has praised winger Wilfried Zaha after the youngster scored his first two goals of the season to secure the win over Wolves on Tuesday. "He's been in scintillating form. He's been a bit unlucky not to get a goal earlier but fortunately for us he hit two spectacular goals," Jedinak said. "He's a very special talent who's really coming on in leaps and bounds. "He knows his role within the team and is willing to listen. "Sometimes it can be hard for him as he gets frustrated if he doesn't get decisions his way. But the way he reacts and gets on with it is testament to him."